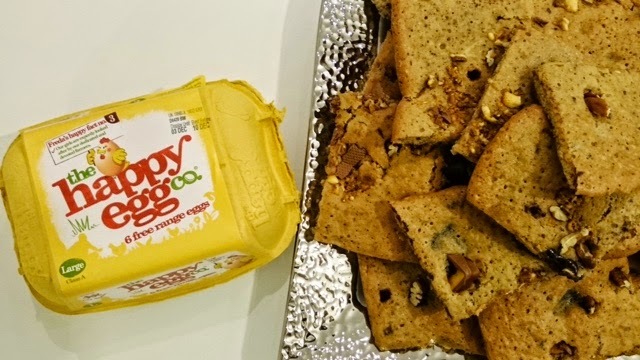 A while back I was lucky enough to be invited to become a member of the Happy Egg co taste 100 blogger network. 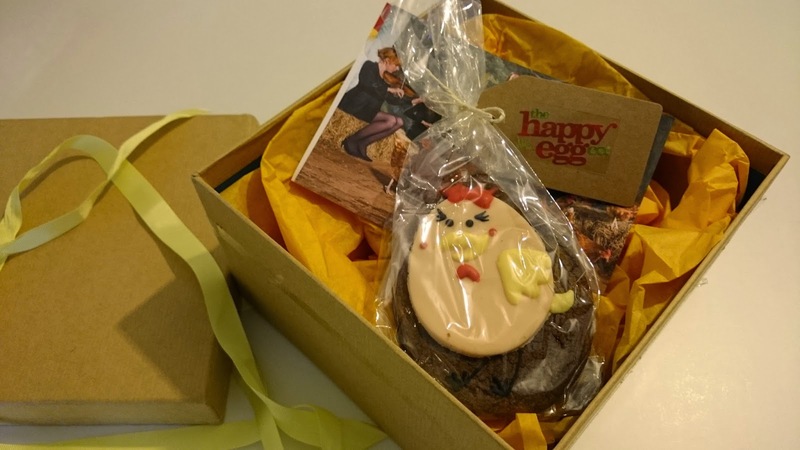 I was sent this cute little box with a with a happy egg cookie and a voucher for 12 eggs and I was later emailed to ask if I would be interested in baking their pecan and chocolate honeycomb cookie! 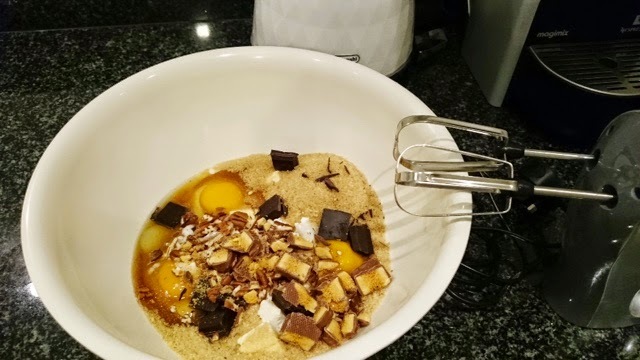 The recipe looked simple enough so I thought why not - they are super delicious! 1. 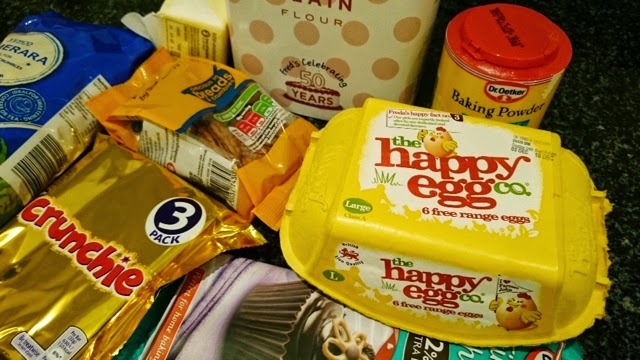 In a large bowl mix together butter, sugar, eggs, flour and baking powder. 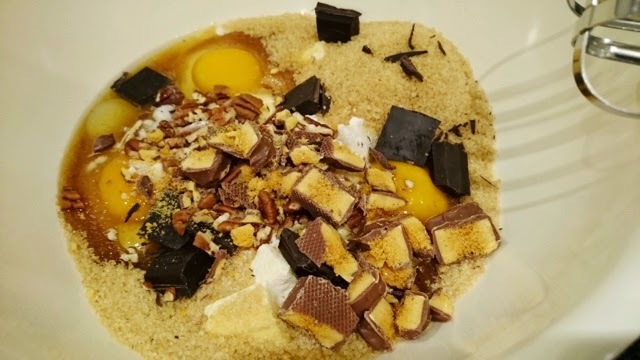 Add the chopped chocolate, pecans and honeycomb, mix until thoroughly combined. Cover with clingfilm and chill for 30 – 60 minutes until firm. 2. Preheat the oven to 180°C, 350°F, Gas mark 4. Line 4 baking trays with non-stick baking parchment. 4. 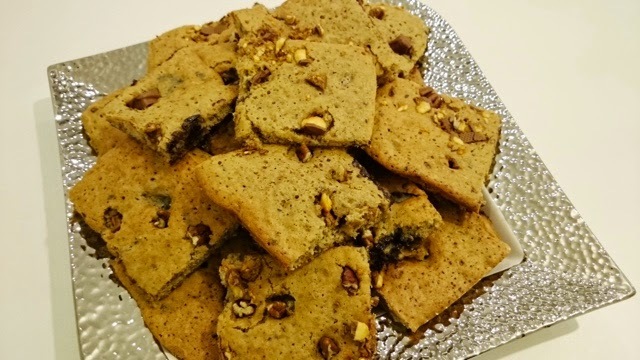 Bake for about 12 minutes until just starting to brown on the edges – the cookies are slightly crunchy on the edges & soft & spongy in the middle! 5. 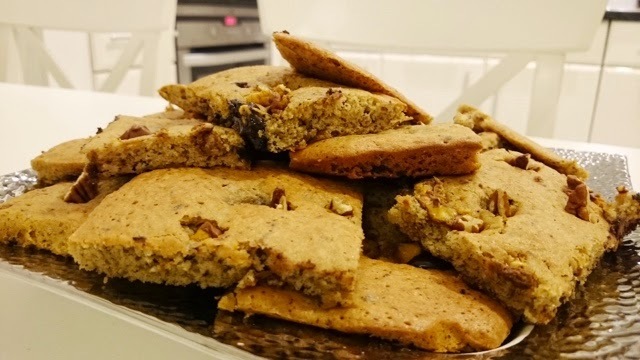 Remove from the oven and carefully while still warm - push extra pieces of pecan nut and honeycomb into each biscuit. 6. Let the cookies cool on the trays. When cool remove from tray & eat – store in an air tight cookie jar. I took the whole tub to work and forgot to leave some for myself this evening!!! If only you can do that haha! Thanks for stopping by! holy guacamole. these look insane. 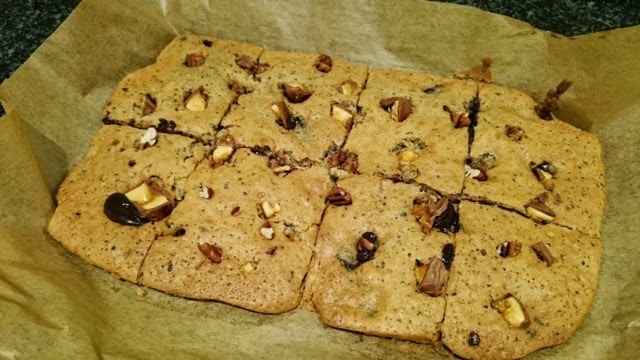 i have nut allergies so will avoid the pecans but , honeycomb…and cookie! What a winning combo! Genius!